HAPPY 70TH INDEPENDENCE DAY TO ISRAEL! ToI asks the experts: What are the most important finds of Israeli archaeology? From Dead Sea Scrolls to space-age tech, the dramatic history of the ever-developing field is indelibly entwined with that of the nation itself (Amanda Borschel-Dan, Times of Israel). 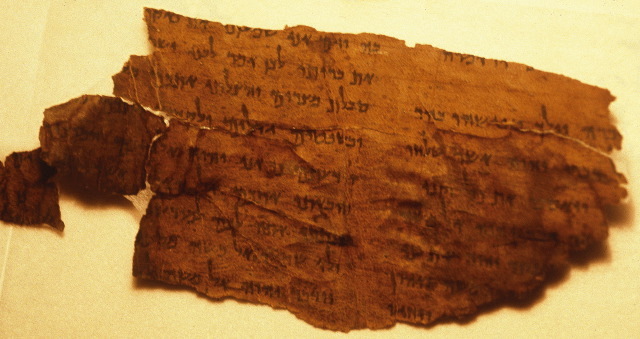 Sukenik retrieved the other scrolls and fragments held by a Bethlehem antiquities dealer. After careful study, he held a press conference to share his initial findings in the Jewish Agency building in the middle of war-torn Jerusalem. A lengthy 1955 New Yorker article paints a picture of daily shelling of New Jerusalem neighborhoods, “between three and five every afternoon” — exactly the time and location of the press event. “To attend it required some nerve. An American correspondent fainted in the street on the way, and had to be carried in by his colleagues. The reporters were flabbergasted when Sukenik, who seemed quite unperturbed by the flashing and banging about him, announced the discovery of the Dead Sea scrolls,” writes journalist Edmund Wilson. This article is not another top-ten list. It is much more nuanced and sophisticated. You should read it all.